If you are looking for information on the Cartridge Recycling Institute franchise business opportunity, CRI franchises or Cartridge Recycling Institute franchising, then you have come to the right place. Want to be your own Boss? Want to work for Your future? Here it is ... the Cartridge Recycling Institute franchise...start your own cartridge recycling business! Every small town in America can afford one and every town needs one. The biggest question is -- How much do you WANT to spend? And most of all, How much do you NEED to spend? Our business opportunity is a low investment. We train you on top quality equipment and provide top quality training! You will receive 4 full days of training at one of our stores. There you will learn the refilling process in producing a quality refilled cartridge. You will also be trained on how to operate your business and the marketing material on how to grow your business. After you leave our training facility, we will continue to give you the latest information in this business. In addition, we provide vendor lists, inventory pricelist, accounting information, equipment list, supply lists and marketing materials. You will be trained in these areas, too. You will have all the information on how to start your own recycling business AND at a low, low cost!!! 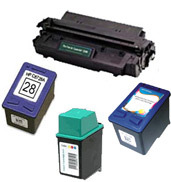 Rumor has it that only 5-10% of people recycle ink cartridges. How many people can you think of have their own printer and print their own pictures? How many people do you know have kids that want to print out everything they see on the Internet? And parents that are dreading the trip to the store to buy another OEM ink cartridge? How many small business owners do you know of that could use YOUR SERVICES in this multi-million dollar industry? And how many people do you know of that would love to be YOUR CUSTOMER and save up to 60% on their next ink cartridge? You already know that cartridge recycling not only saves people money but also helps the environment. That's why you're reading about this opportunity now. You are already aware of the many advantages this opportunity offers. So start saving our environment and keep printer cartridges out of our landfills. Hopefully you've looked into the Ink Cartridge refilling business and are ready to make a decision. You've seen what franchises are available and hopefully you've talked to some franchisees. One does not need a franchise with this type of business. Why spend the amount of money they are asking? Why pay the royalty fees AND franchise fees? A franchise will teach you how to do everything and give you ongoing support. We give you that too!!! They are basically your business partner, except you supply the cash and the hard work. Franchises require a fee for doing what they do and they always get their share before you get yours. A franchise will still make money whether your business is successful or not. Our business concept is to keep ALL the money in YOUR pocket when you start your business. We believe in your future. You're doing all the work, shouldn't you keep all the money??? CRI offers a business opportunity to open your own store, not a franchise. Now comes the scary part - how do you get started? How does a cartridge work and how do you fill it? There are many refilling machines and they're all expensive; how do you know which one to buy? What about ink? Aren't they all the same? What about toners and vendors and pricing? What about accounting and marketing? You could learn all this the old fashion way, trial and error, which will cost you. Or you might think that you already possess the knowledge - but you never know what you don't know. How to identify cartridges, how they work, and how to fill them. How to test cartridges and how to fix one that is printing poorly. How to set up your store from site selection and rent negotiations, to store layout and merchandise vendors. How to select the right machines and what your starting inventory should be. How to set up your books and even give you a CD to load all the cartridges and other merchandise into your computer with prices which you can edit as you please. What's the catch? It's that we do all this for a fee. But there are no ongoing fees and we don't try to sell you anything. We set you up just like we are set up. We give you the information so you buy directly from the people we buy from. You don't have to worry about what you don't know. Your investment will cover all your equipment, training and start-up merchandise inventory. It also includes construction cost, computers, printers, signage and all the other little things you'll need. But it doesn't cover cash flow, rent or advertising. So far response has been very exciting and our classes are filling fast. Our four-day intense training session offers practical hands-on experience which is why class size is limited. So if you've already decided that this is the business you'd like to be in, don't delay. If this is something you've really thought about and are really excited about, you won't be disappointed. Sign up and start preparing today. We would love to assist you with this new and exciting venture. your home OR you could have your own retail store. a multi-million dollar industry to get into NOW! notify us WHEN you are ready to start training. We are scheduling classes for the next 90 days. Sign up now, class availablity is limited. Someday soon there will be a cartridge recycling business in your town. Will it be yours?